MoreAt The Law Offices of John B. Renwick the client comes first. Every effort is made to treat each client with respect and compassion. From first entry into the offices, through the entire case the client is greeted by a warm and friendly staff. Mr. Renwick himself takes great care in patiently listening to the each individual's situation, with a view to understanding all of the circumstances, and most importantly, what is at stake. While interviewing with him, clients quickly perceive two things...At The Law Offices of John B. Renwick the client comes first. Every effort is made to treat each client with respect and compassion. 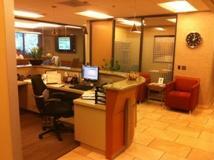 From first entry into the offices, through the entire case the client is greeted by a warm and friendly staff. Mr. Renwick himself takes great care in patiently listening to the each individual's situation, with a view to understanding all of the circumstances, and most importantly, what is at stake. While interviewing with him, clients quickly perceive two things about John B. Renwick: He is a confident man and he understands people. In court, Attorney John B. Renwick has established a reputation as a skilled trial lawyer who is always thoroughly prepared and totally committed to winning. At the same time, he is regarded by judges, prosecutors, and civil attorneys as a courteous litigator who lives up to the letter of ethical rules. Mr. Renwick speaks and reads Chinese fluently. He has thus had the opportunity to represent hundreds of Chinese people. Since people have legal issues in a great variety of situations he has become educated and experienced in a variety of legal disciplines, including criminal, personal injury, divorce, business, and immigration. He takes pride in the fact that after 30 years of practice he has never had a client complaint or dispute. The Law Offices of John B. Renwick provides a free initial consultation at both the Sacramento and San Jose offices.